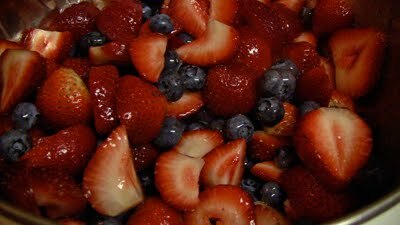 One of our favorite fruit combos in our household is mixing strawberries and blueberries together with a teaspoon sprinkle of Splenda granulated sugar or drizzle some blue agave syrup. If you're wanting to add a healthy and sweet-satisfying snack into your busy schedule then prepare this the night before, right after you've done your dishes. You'll be the envy of your office, especially when they see you mix in some creamy Greek yogurt (I'm addicted to Fage at the moment) and top it off with some granola. Yep! It's that simple and delicious. But hey, if you're feeling a little naughty then by all means spoon that, press that, glob that whipped topping and get downright wicked, you calorie rule breaker you! I would invite myself to a whipped cream dessert any day. So go on with your bad self. Oh yes and Mexican Pizzas at Taco Bell was quite the hit with me in college. Ahhh memories. Hi everyone, today I'll be showing you how to make Stuffed Cucumber and Pork soup. Growing up with my family, my father would always enjoy his flavorful stir-fries along with a side of hot soup. Sometimes my mom would make a leafy green soup and other times completely meat. This soup gives us a veggie stuffed with meat so kudos to her. There is a more popular soup like this that is made with bitter gourd and it's quite delicious if I may add my 2 cents. But this particular one came to mind because of summer and all this talk of cucumber tea/water and my sudden craving for peppery pork. So I wedded the two ingredients in my mind and that's how I ended up making this delight for dinner. Random? I know. But that's how this crazy brain works. Here is the way I make Stuffed Cucumber and Pork Soup. Mind you, I usually make enough to feed about 4-6 folks so if it's just you or two...please minimize accordingly or go all the way and have leftovers. 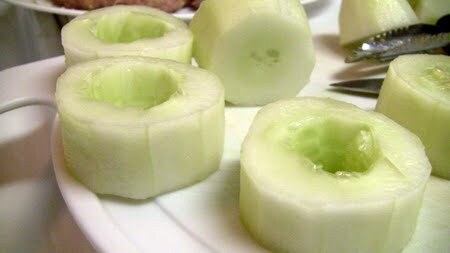 Peel cucumbers and cut into 1 to 2 inch thick pieces. 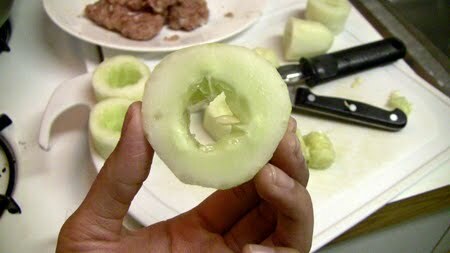 Using a small knife or whatever allows you to gently scoop out the inside seeds and mushy part of the cucumber pieces. In a bowl mix ground pork, minced garlic, salt & pepper. Stuff the cucumbers with the pork mixture. Bring water to boil in a large pot. Add the bouillon. 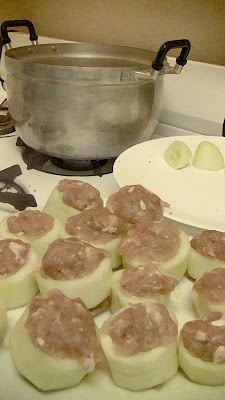 Gently drop the stuffed cucumbers into the boiling water. Cook under medium heat until meat is almost cooked. The add bean thread noodles and add more salt or soy sauce according to taste. Serve when pork is completely cooked. If your main dish is fairly salty, cut back on the soup's salt. Creating balance for your palate can be quite enjoyable. WARNING: The contents of this treat may cause Sugar Overload leading to uncontrollable children and adults. Sudden crash and burn may occur. In case of this emergency please find nearest rest area. It was my husband's idea that we purchase fruity rice cereal and make treats out of them. My finger is pointed at him as I take a delicious bite of our Sweet n' Fruity Rice Squares. The next time we attempt this recipe instead of going full-on with 6 cups of fruity cereal, we will divide it into 3 cups of fruity rice cereal and 3 cups of normal (unflavored) rice cereal. We love taking advantage of cereal for less at Aldi's and so we got Millville's Fruity Rice (fun and colorful box designs). And guess what? Fruity Rice does not, I repeat does not have high fructose corn syrup in it. Nice for us since we loaded up on marshmallows and butter. The recipe is easy and many people go by the Original Rice Krispie Treat recipe. I just added a little more butter and maybe little more marshmallow against my healthy judgement. But have fun making these with the kids and big kids...you know who you are. That's how I'm feeling after 4 or 5 squares! Winning Bertolli's Recipe Challenge = NYC + Rocco DiSpirito + MORE?! Yes I'm back with another recipe contest that's being held until June 30th 2010. Sadly ladies, I missed Cooking Light's competition due to a busy past month. But...I'm still determined to make a dish that's within the contest limits and get it posted. And just a reminder of an invitation, if you would like to share your recipes on this blog feel free to write me at TheFullTimeWife@gmail.com. We'll post your recipe and photo if you have one to share. $500 spending cash that would probably disappear real fast if I was dropped off at the mall or anywhere near a fragrance store. A signed copy of Rocco's cookbook Now Eat This! :150 of America's Favorite Comfort Foods, All Under 350 Calories. Why wouldn't I want a cookbook that gives me the foods I enjoy and less time in the gym? In addition you'll also receive a pricey 10-Piece cookware set and 1 year supply of Bertolli Pasta Sauce. Bring it on Bertolli! So that's what I have for you so far. I think this sounds wonderful and now I'm hungry for pasta with red clam sauce...until the next post. I don't know if you like playing video games or your kids play video games but have you ever taken the time to listen to their soundtracks? Well, this has nothing to do with food but I'm posting it anyway because full time wives also enjoy the finer things of life like music, really good music. I play Legend of Zelda games (thanks to my husband introducing them to me) and I have enjoyed each game immensely. No doubt about it. Zelda games are fun to play and they really teach you to think outside the box when it comes to solving epic or just simple daily obstacles. But more importantly, there is so much artistic depth that the creators of this game passionately devoted into the visuals and music of each Zelda experiences. This video is but a small portion of what the game musically offers but beautiful and moving nonetheless. This medley is from Legend of Zelda: Ocarina of Time. I haven't had the chance to play Ocarina of Time yet but I've played Legend of Zelda: Twilight Princess and have enjoyed countless hours of marvelous and epic visuals that accompany my imagination when I hear this medley. I was catching up on my No Reservations episodes last night and came across Anthony Bourdain in China. One of the restaurants he visited was all about noodles and wow it was amazing to watch. So today I was skimming through YouTube and found this video of Executive Pasta Chef Danny Yip of Mr. Chow restaurant in Beverly Hills. I can't embed the the video of Anthony in China but here is the link if you haven't already seen the Noodle Loft. Having trouble deciding what salad to make for lunch/dinner? 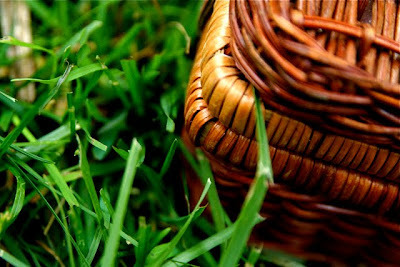 Or are you in a rut with your summer picnic menu? Well, I've done some researching and hopefully some of my finds will be helpful to you in the salad and dessert department. I'm always up for Thai food so when it comes to salads I go for Yum Woon Sen. There are little things you can add and tweak when making this salad and I have my own recipe I go by but for this blog I send you to Joy's Thai Food blog's recipe. So far I've liked what this particular recipe has to offer. For the Chinese Celery it requires, do not fret, instead use celery leaves. It's pretty close to the same taste of the Chinese Celery and more accessible. If you like the taste of curry and carbs...try Food Network's Duff's Curried Pasta Salad. I don't see how you can go wrong with elbow macaroni, mango chutney, curry, scallions, broccoli and of course, mayo. Mmmm avocados, shrimp, artichoke hearts, cucumber, anchovy, cherry tomatoes...you can't go wrong with Eating Well's Green Goddess Salad (love the name btw). One of the many things I like about Eating Well's recipes are the nutritional facts they post. I don't always count my calories but when I need to it's always nice to have that info available. And of course you can never go wrong with a tasty Caprese Salad. Juicy tomatoes, fresh basil leaves and of course, fresh mozzarella. I like to drizzle it with some olive oil and sprinkle kosher salt and ground black pepper. So fun, easy and gone before you know it. Here's Tampa Tribune's take on Caprese Salad. My husband and I are currently on a Rice-Krispies-treats-kick. So naturally something I would be putting in my menu for desserts will have to be Frozen Yogurt Sandwiches or just replace the frozen yogurt with some ice cream. Yeah, I think my man will reach for the ice cream before the healthy stuff. Bringing back the old into the new...Whoopie Pies. According to the user reviews it is easy to make and delicious too. I'm not a whoopie pie expert so I'll make it and leave it to my friends and family to tell me what they think of it. Finally something that both kids and grown up toddlers might like...Chocolate-Dipped Orea Pops. These are easy to make, entertaining to consume and it's no-bake. Whew! Get away from that oven it's Summer!